NATO is reporting the death of an ISAF soldier from an insurgent attacks in an undisclosed area in eastern Afghanistan on Tuesday, March 29th. #1: A suicide bomber struck a convoy carrying a prominent hardline Islamist leader in northwestern Pakistan on Thursday, killing 12 people in what was the second attack that targeted the politician in as many days, police said. Maulana Fazlur Rehman, head of the Jamiat Ulema Islam party, told local TV after the attack in Charsadda town that he was unharmed but his vehicle was slightly damaged. The 12 dead from Thursday's attack included at least three policemen, said Liquat Ali Khan, police chief in Peshawar city. The blast also wounded at least 20 people. It was unclear if the bomber was on foot or on a motorcycle. #2: At least five civilians have been injured in a NATO missile attack in South Waziristan Agency in northwest Pakistan bordering Afghanistan. Pakistani local media said two missiles were fired from Afghanistan's Paktika province where NATO forces are stationed, a Press TV correspondent reported on Thursday. Pakistani local officials say the missiles hit a market in Angor Adda area, injuring five civilians. The injured were shifted to a nearby hospital for treatment, the report added. #3: NATO soldiers killed three Afghan civilians and injured four others after opening fire on a car which the force said had tried to attack a patrol in the city of Kandahar. Local police say it was just a traffic accident. Four Afghan civilians and three NATO soldiers sustained injuries as a vehicle of the alliance struck a civilian car in Kandahar province 450 km south of capital Kabul on Thursday, police said. "The road accident happened in the north of the provincial capital Kandahar city at 09:00 a.m. local time as a result four civilians and three foreign soldiers were injured," deputy to provincial police chief Fazal Ahmad Shirzad told Xinhua. #4: A suicide bomber targeted a convoy of NATO-led troops in Kapisa province, 70 km north of Afghan capital Kabul, on Wednesday, injuring nine people, including four foreign soldiers, a local official said. "It was a suicide attack carried out by militants against international troops in Tagab district at 2:30 p.m., which left four foreign soldiers and five Afghan civilians injured," police chief of Tagab district, Padshah Gul Bakhtyar, told Xinhua. Meantime, Zabihullah Mujahid, who claims to speak for the Taliban militants, in talks with media via telephone from undisclosed location claimed responsibility, saying a Taliban fighter, named Abdul Rahman, exploded his explosive-laden car next to a convoy of French troops, leaving himself and 12 French soldiers dead. However, police officer Bakhtyr rejected the claim, saying only nine persons sustained injuries in the blast. #5: Pakistani security forces killed at least nine militants and destroyed their three hideouts on Thursday morning in the country's restive northwestern Kurram Agency, security sources said. According to sources, the security forces carried out a sudden search operation in Ali Sherzai, Chanarak and Spirkat of central Kurram Agency, Pakistan's tribal region bordering Afghanistan. As the forces reached the said areas, some militants attacked them and in retaliation security forces shelled their hideouts, in which nine militants were killed. Later, security forces cordoned off the area to make the operation more successful. NATO is reporting the deaths of two ISAF soldiers from separate insurgent attacks in an undisclosed areas in eastern Afghanistan on Tuesday, March 29th. NATO is reporting the deaths of two ISAF soldiers from an insurgent attack in an undisclosed areas in eastern Afghanistan on Wednesday, March 30th. #1: Dean of Faculty of Dentistry in Baghdad University was killed by a sticky bomb on Tuesday in western Baghdad, according to a security source. “Dr. Mohammad Hussein was killed on Tuesday (March 29) when a bomb, stuck to his car, went off in al-Mansour region, western Baghdad,” the source told Aswat al-Iraq news agency. #1: In Diyala, two citizens were wounded when a bomb stuck to a bus exploded in western Baaquba, a police source told Alsumaria News. #1: Unknown gunmen wearing military uniforms killed five Iraqi brothers including a policeman as they raided their house in Arkov region, in Abu Ghraib District. #1: At least nine city and provincial officials were among dozens killed in Iraq when armed militants took over a government building in Iraq and held hostages this week, Interior Ministry officials told CNN Wednesday. At least two journalists, including CNN contributor Sabah al-Bazi, were also among the dead when armed men assaulted and seized the building in Tikrit, in northern Iraq on Tuesday. At least 56 people died and 98 others were wounded in the attack, which ended after Iraqi forces launched a raid to take back the building and free the hostages. The armed militants, clad in police uniforms, clashed with the Iraqi police, and a suicide car bombing also was reported in the fighting in Tikrit, the capital of Salaheddin Province. Three provincial council members were among the dead, as were six city council members from the nearby town of Shirqat, officials said. Gunmen wearing police uniforms and suicide vests stormed the provincial council office in the northern Iraqi city of Tikrit on Tuesday and seized hostages in a brazen attack that left dozens of people dead, officials in Tikrit said. The assault turned into a hostage standoff that lasted for hours on Tuesday afternoon, until Iraqi security forces retook the building in the early evening. All of the gunmen and all of their hostages, who numbered about 30, were dead, according to officials in Tikrit. It was unclear how many American soldiers were wounded. A United States military spokesman said none of them required evacuation. #1: A gunman has been shot dead and another injured, together with a soldier, in clashes east of Mosul on Tuesday, a Ninewa security source said on Wednesday. “A gunman has been killed and another was injured in exchange of fire with soldiers in an Army checkpoint in east Mosul’s Dargazaliya district,” the security source told Aswat al-Iraq news agency. He said that an Iraqi Army soldier was wounded in the clash, whilst the injured gunman was arrested and facing investigation at the headquarters of the Iraqi Army’s 2nd Division in Mosul. #1: A policeman was killed and four of his family was wounded in an armed attack in eastern Falluja, a security source said. 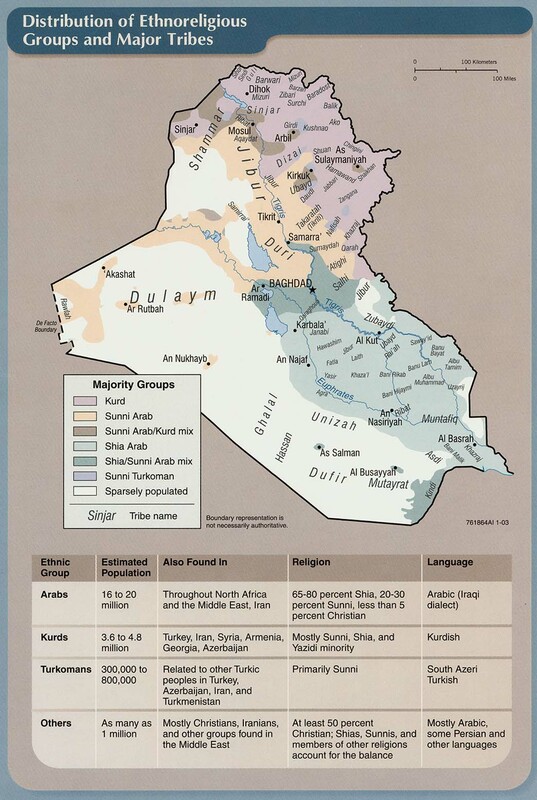 “A policeman was killed and four of his family, including his wife and three of his children, were wounded when gunmen attacked his house in central al-Karma district, eastern Falluja,” the source told Aswat al-Iraq news agency. “The group opened fire on the house and threw a hand grenade, killing the cop and damaging the house,” he added. #1: Six people were killed and 10 wounded when a suicide bomber riding on a motorbike blew himself up near a police checkpoint in northwestern Pakistan on Wednesday, police said. "The bomber came on a motorbike and detonated himself close to Ambar check post near Swabi town," local police chief Abdullah Jan said. He said the checkpoint was close to a camp set up by a religious political party for a public meeting in the town, located about 100 kilometres east of Peshawar. "Six people including one of our police officials were killed and 10 wounded," he said. The DND/CF is reporting the death of a Canadian ISAF soldier from an IED blast in the Panjwa’i district, Kandahar Province, Afghanistan on Sunday, March 27th. Here's the ISAF release. NATO is reporting the death of an ISAF soldier during an insurgent attack in an undisclosed area in eastern Afghanistan on Tuesday, March 29th. #1: A major at the military academy was seriously wounded and two of his brothers were killed when gunmen wearing military uniforms attacked them in Bani Zaid village in Al Hamadani District, western Baghdad, a police source said. 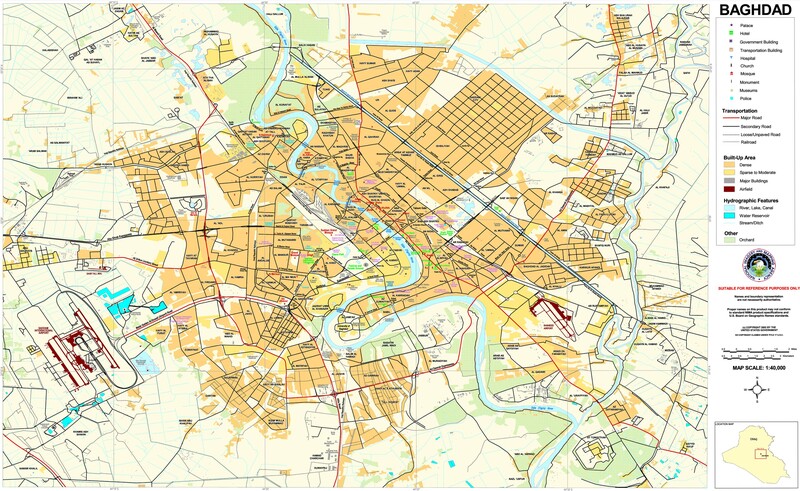 #2: In a separate incident, a Katyusha hit the green zone, central Baghdad. Iraqi officials say a rocket fired at the Green Zone in Baghdad has killed a bystander and wounded four others. The rocket landed around 6:30 a.m. Tuesday near a small hotel across the Tigris River from the heavily fortified area that houses government offices and foreign embassies. A policeman at the scene said a second Katyusha rocket landed inside the Green Zone but there were no immediate reports of casualties. A second policeman said one person was killed and four wounded. A doctor confirmed the casualties. Both spoke on condition of anonymity because they were not authorized to release information. #3: “An IED blew up in central Baghad’s Tayaran Square, close to the Interior Ministry’s building, targeted against a Ministry patrol. The blast wounded three civilians, who were driven to hospital for treatment,” the security source added. #4: “Another IED blew up in west Baghdad’s Amiriya district, wounding three civilians, who were also driven to hospital,” the source added. #6: whilst a fourth blast took place in al-Shaab district, wounding 4 civilians,” he concluded. The Deputy Governor of Baghdad, Mohammed al-Shimmary, has escaped an assassination attempt on Monday, when an IED (improvised explosive device) blew up against his motorcade in western Baghdad, a security source said. “An IED blew up on Monday morning, close to Al-Shaab (People’s) Stadium in Baghdad on Monday, targeted against the motorcade of Baghdad’s Deputy Governor, Dr. Mohammed al-Simmary,” the security source said. Although Dr. Shimmary escaped the assassination attempt, the source noted that four civilians, who close to the location of the attack, were injured and taken to hospital for treatment. #7: Three armed men have been killed when their car blew up in western Baghdad on Monday, the Baghdad Operations Command reported. “Three terrorists have been killed, when a car they were driving, carrying two explosive charges, anti-armor mines and other weapons, blew up in western Baghdad’s Amiriya district,” the Command said in a statement. #8: It also said that an improvised explosive device (IED) blew up in west Baghdad’s Canal Street, causing no losses or casualties. #9: Three civilians were killed and 13 others were wounded in an armed robbery in eastern Baghdad on Monday, the Baghdad Operations Command said. "An armed group attacked two jewelry stores in Ali al-Naama market in al-Qahera neighborhood region, eastern Baghdad, killing three civilians and injuring 13," the BOC said in a statement received by Aswat al-Iraq news agency. "The group detonated two bombs, killed citizens and stole an amount of gold." #10: An employee, his wife and two civilians were wounded in a sticky bomb explosion in western Baghdad, according to a security source. “A bomb, attached to a vehicle of an employee, working for the communication ministry, went off on Monday evening in al-Khadraa region, western Baghdad, seriously injuring him, his wife and two more civilians,” the source told Aswat al-Iraq news agency. #1: A bombing targeted on Tuesday morning an army patrol in a popular market, central Abu Ghraib District. In a separate incident, a roadside bomb struck an Iraqi army patrol at a popular market in Abu Ghraib area, damaging a military vehicle and wounding two soldiers aboard, the source said. #1: A bomb in a parked car killed one civilian and wounded 16 in the town of Mussayab, 60 km (40 miles) south of Baghdad, an Interior Ministry source said. #1: Gunmen stormed into the provincial council headquarters in former Iraqi leader Saddam Hussein’s home city of Tikrit and held people hostage, police said on Tuesday. The gunmen, wearing army uniforms, took people inside Salahuddin’s provincial council building hostage, police said. A Reuters correspondent at the scene, 150 km (95 miles) north of Baghdad, said Iraqi security forces and U.S. soldiers had surrounded the building. Mosul: #1: Six women and a young man from one family have been killed by a group of unknown gunmen in northern Iraq’s city of Mosul, a Ninewa security source said on Monday. “A group of unknown gunmen have killed a family of seven inside their house in west Mosul’s al-Tanak district late on Monday,” the security source told Aswat al-Iraq news agency. #2: Gunmen in a speeding car killed an off-duty policeman near his house in eastern Mosul, 390 km (240 miles) north of Baghdad on Monday evening, police said. #3: A roadside bomb wounded a police captain in eastern Mosul late on Monday, police said. #1: Friendly fire killed 13 Pakistani soldiers whose deaths were initially blamed on Islamist militants in the Taliban-infested tribal belt on the Afghan border, a commander said. Security officials at first said 14 soldiers were killed during fighting on Monday (local time) in the Shindhand area of Khyber, part of Pakistan's tribal belt that Washington has branded a global headquarters of Al Qaeda. But north-west military commander Lieutenant-General Asif Yasin Malik told reporters on Tuesday that 13 soldiers died due to mortar fire called in by the commanding officer after his troops came under attack. "When our soldiers came under fire, the commanding officer called mortar fire twice. The second mortar missed its target and hit our own soldiers," he said in the north-western capital of Peshawar. "Two officers and 11 soldiers were martyred. There is a possibility of error in mortar fire when troops are themselves under fire." "Several militants were killed and arrested." #2: Two US-led soldiers have been wounded after their armored vehicle hit a landmine in western Afghanistan province of Farah, Afghan officials say. A police source said the incident came overnight when the mine exploded on the way of a joint Afghan-foreign convoy in a village in Farah city, a Press TV correspondent reported Tuesday. #3: In another incident in Farah, the convoy of an Afghan army hit a landmine in a village in the province. Taliban claims that at least eight Afghan troops were killed in the explosion. Afghan defense ministry, however, refutes the casualty figure. #4: Unidentified armed men gutted a NATO oil supplying tanker in Sohrab area of Qalat on Monday. Police said that some unidentified armed men opened fire on two NATO oil supplying tankers when they were on the way to Afghanistan. Resultantly a tanker caught fire and the driver sustained injuries. #5: Meanwhile, a doctor was kidnapped by unidentified miscreants from Golimar Chowk area. However, no group claimed responsibility for the kidnapping. #6: A young Afghan boy has been shot and is in a critical condition after a battle between Australian troops and insurgents, Australian Defense Force confirmed on Tuesday. Australian soldiers were working alongside Afghan police when they were attacked with guns and rocket-propelled grenades, while patrolling in the Deh Rafshan area in Oruzgan province on Sunday. According to the Department of Defense, one insurgent was killed in the battle and the local boy was later found with gunshot wounds to the upper body. Policeman injured by IED attack on a patrol. Gunmen kill an electrician. No motive or explanation is offered. Nine civilians injured by IED in Iskan district. In February 2006, with roadside bombs killing more and more American soldiers in Iraq, the Pentagon created an agency to defeat the deadly threat and gave a retired four-star general the task of running it. Five years later, the agency has ballooned into a 1,900-employee behemoth and has spent nearly $17 billion on hundreds of initiatives. Yet the technologies it has developed have failed to significantly improve U.S. soldiers' ability to detect unexploded roadside bombs and have never been able to find them at long distances. The best detectors remain the low-tech methods: trained dogs, local handlers and soldiers themselves. Jalal Talabani, in the guise of Iraqi president, is visiting Iran, where he says the two nations share a common experience of struggling against dictatorships [sic] and calls for strategic ties. Meanwhile, Iraqi PM Nuri al-Maliki says intervention by Sunni neighbors in Bahrain could ignite a sectarian war. Speaking to the BBC Arabic service, he said 'We did not move to support the Shias in Bahrain but we called for interference in Bahraini affairs to be stopped and don't want to make it a sectarian issue. Because if it happens, it will be like a snowball, it will get bigger if it is ignored ... The region may be drawn into a sectarian war.' Uh oh. Is that a threat?. Although other reports have it that an official decision has yet to be made, the WSJ reports that Kabul bank will be liquidated next month. As you may recall, the bank was essentially looted by cronies of president Karzai. This AP story gives more background info. But, you don't have to be Afghan to be corrupt. Two U.S. soldiers are charged with embezzling precisely $1,297,959.31 in vendor payments owed to an Afghan company. Edwin Vando and Juan Lamboy Rivera worked at camp Eggers in 2009, overseeing payments to commercial vendors. Well, this hardly ever happens: A provincial governor in Afghanistan’s dangerous south said yesterday that seven civilians were accidentally killed when a NATO helicopter fired on two vehicles believed to be carrying Taliban fighters. The incident happened Friday in Helmand province. The dead included 2 women and 3 children. Five other civilians were injured. Afghan activist Malalai Joya speaks in Jamaica Plain, Massachusetts (where Cervantes lived until last month and where I'm still trying to sell my condo, in case anyone is interested). A former member of the Afghan Parliament who was expelled for "insulting" fellow lawmakers, she was initially denied a visa to come to the U.S. "She said she did not fear a US troop withdrawal, which Obama has said would occur by 2014. “We have three enemies: the warlords, the Taliban, and foreign occupation. When the occupation ends, we’ll only have two.'" NATO is reporting the death of an ISAF soldier from an insurgent attack in an undisclosed location in southern Afghanistan on Saturday, March 26th. #1: An Iraqi soldier has been killed and seven other persons, including security elements, have been wounded in different violation acts in Baghdad on Saturday, according to Iraqi security sources. “A group of unknown gunmen opened fire on an Iraqi Army patrol in west Baghdad’s Hurriya district, killing a soldier and wounding another soldier and a civilian, whilst the gunmen flew away to an unknown destination,” the security source told Aswat al-Iraq news agency. #2: A bomb attached to the car of a university professor killed him and wounded three others, including his wife, when it went off in al-Nisour Square in central Baghdad, an Interior Ministry source said. #1: doctor survived a life attempt on Friday in Diala, while an army force seized a weapons depot in the province, a security source said. “A sticky bomb went off on Friday (March 25) on the main road in Jalawlaa, Khanaqin, northeast of Baaquba, targeting the vehicle of a doctor in Jalawlaa hospital, seriously injuring him,” the source told Aswat al-Iraq news agency. #2: “A civilian has been injured in an explosion of an IED, stuck to a truck, loaded with gas tubes, that blew off in Baaquba, the center of Diala Province on Saturday,” Lt. Brigadier Jassim al-Rube’i told Aswat al-Iraq news agency. #1: Six missiles landed on a U.S. base and a headquarters of the Iraqi army’s 8th Division in the city of al-Diwaniya on Friday but there was no word of casualties or losses, an Iraqi military source said. “Three rockets landed on Camp Echo of U.S. forces, (3 km) west of Diwaniya, while three others hit the headquarters of Iraq’s 8th Division, (4 km) west of Diwaniya, but no casualties or losses were reported,” the source told Aswat al-Iraq news agency. #1: Gunmen shot dead an off-duty Iraqi army lieutenant near his house in eastern Mosul, 390 km (240 miles) north of Baghdad, police said. #1: Western forces have accidentally killed civilians in an air attack in the Afghan province of Helmand, after mistaking them for Taliban fighters. Nato said it ordered the attack on Friday, after hearing that a Taliban leader and several of his subordinates were travelling in two vehicles. Troops later found an unspecified number of dead and wounded civilians at the scene in Naw Zad district. #2: Two civilians were killed when their motorcycle was hit by a roadside bomb in Shamalzai district of southern Zabul province on Friday, the Interior Ministry said. #3: One child was killed and four civilians were wounded when a suicide bomber on a motorcycle detonated his explosives in Spin Boldak district of southern Kandahar province on Friday, the Interior Ministry said. #1: Three civilians were wounded in an improvised explosive device blast on al-Nidal street in central Baghdad on Thursday, a local security source said. “A roadside IED went off on al-Nidal street, near the Baghdad souk (outdoor market), central Baghdad, leaving three civilians wounded and a parked vehicle damaged,” the source told Aswat al-Iraq news agency. #2: An army force seized on Friday 16 Katyusha rockets in northwestern Baghdad, official spokesperson of the Baghdad Operations Command said. “A force from the 22nd brigade of the 6th division of the Iraqi army seized 16 Katyusha rockets ready to be launched in the square between al-Houriya region and al-Aadl neighborhood, northwestern Baghdad,” General Qassem Atta told Aswat al-Iraq news agency. #1: Two civilians were killed and three injured when a bomb went off on a main road in the western part of Mosul, located some 400 kilometres north of Baghdad. 'The bomb was targeting police patrols which pass through this road frequently,' Mohamed Al-Jabouri, head of Mosul's security operations, told the German Press Agency dpa. 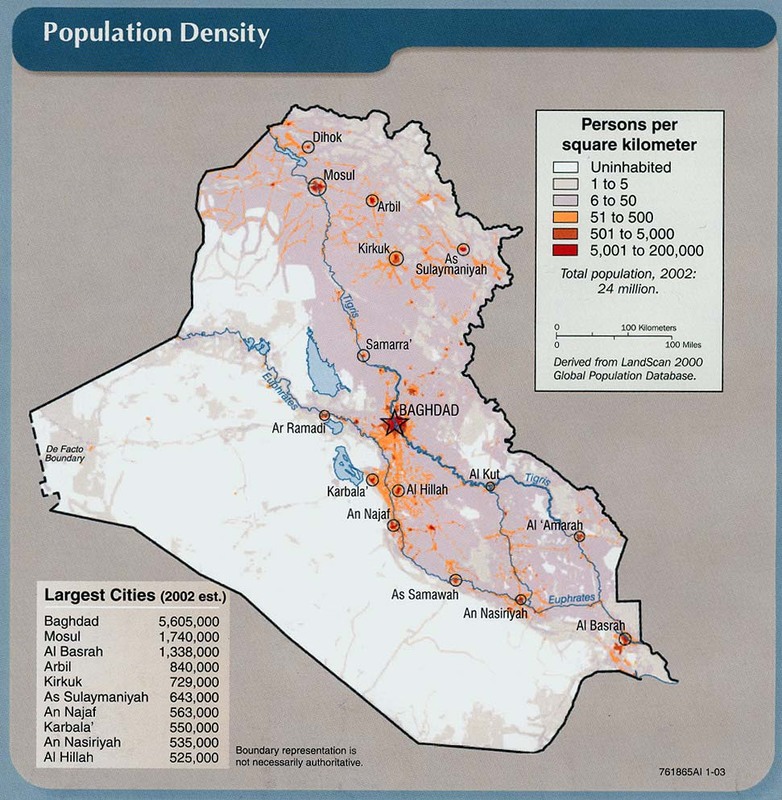 #2: In a separate incident late Thursday, three gunmen were killed in clashes with the police in Mosul, among the most ethnically-diverse and dangerous cities in Iraq. Insurgents mount near-daily attacks there. #1: Meanwhile, in the western city of Ramadi, gunmen blew up the house of a journalist on Friday. The attack left seven members of his family, including three children, injured. #2: Three civilians were wounded on Friday in a roadside bomb explosion in central Falluja, according to a security source. “The bomb exploded this morning near al-Rafidyeen Bank, central Falluja, injuring three civilians,” the source told Aswat al-Iraq news agency. #1: A roadside bomb killed two children Friday in eastern Afghanistan. One more child was injured in the attack in the east, which took place in the Behsood district of Nangarhar province, said Ahmad Zia Abdulzai, spokesman for the provincial governor. The explosives were hidden in garbage near a main road frequented by Afghan and foreign troops, he said, adding that an investigation was under way. #2: Also on Friday, a joint Afghan and German military patrol was hit by a roadside bomb in the Chardarah district of Kunduz province, said Gholam Muhaiyuddin, the district police chief. 'One policeman was killed and a police vehicle was destroyed in the attack, but there were no other casualties among the Afghan or foreign forces,' he said. #3: Gunmen attacked a minibus carrying mostly Shiite Muslims and killed eight people on Friday in a stretch of northwestern Pakistan. The gunmen who carried out the ambush in the Bagan area of the Kurram tribal region also kidnapped 18 people from the bus, said Javid Khan, a local administrator. The bus was attacked as it was travelling on the main road that runs through Kurram that connects the main town in the region, Parachinar, with Peshawar, the capital of nearby Khyber Pakhtunwkha province, said Khan. Five people were wounded in the attack, said Khan. The bus was mostly carrying people from the Toori tribe, one of the main Shiite tribes that struck the peace deal, he said. A similar attack killed nine people in mid-March who were travelling on the road from Parachinar, a Shiite-dominated town. Three passenger buses were kidnapped on Friday by unidentified militants from semi autonomous tribal area located in the northwest of Pakistan, local media reported, quoting official sources. According to local Urdu TV channel Dunya, the three passenger buses with some 45 people on board were abducted by unidentified militants from Kurram agency of the Federally Administrated Tribal Area of Pakistan. The British MoD is reporting the deaths of two British ISAF soldiers from an IED blast in the Nahr-e Saraj district, Helmand province, Afghanistan on Wednesday, March 23rd. Here's the ISAF release. The DoD is reporting a new death unreported by the military. Petty Officer 1st Class Vincent A. Filpi III died from a non-combat related incident aboard on the USS Enterprise on Tuesday, March 22nd. He was supporting OEF. #1: One civilian was killed and seven more were wounded in an explosive device blast in southern Baghdad, according to a security source. “An improvised explosive device went off on Wednesday (March 24) in al-Ariefiya street in Jisr Diala region, southern Baghdad, killing a civilian and wounding seven, who were carried to al-Zaafaraniya hospital for treatment,” the source told Aswat al-Iraq news agency. #2: Two civilians were wounded in northern Baghdad on Wednesday by an improvised explosive device, a security source said. “The bomb exploded near al-Nadaa mosque in al-Waziriya region, northern Baghdad, injuring two civilians, who were rushed to a nearby hospital for treatment,” the source told Aswat al-Iraq news agency. #3: An employee of the electricity ministry was killed and two more were wounded in a sticky bomb explosion in northern Baghdad, a security source said Wednesday. “A bomb, attached to a civilian vehicle, went off in al-Houriya city, northern Baghdad, killing the employee and injuring two,” the source told Aswat al-Iraq news agency. #4: An official in the Municipalities Ministry was killed by armed men while he was driving his car in Baghdad&apos;s northeastern Sadr City slum, an Interior Ministry source said. #5: Major General Ahmed Obeidi, head of the 6th Iraqi Army Division, died in a hospital on Tuesday from wounds sustained on Sunday when gunmen shot at his car in Palestine Street, northeastern Baghdad, an Iraqi army source said. #1: Two policemen were wounded when a roadside bomb targeting a police patrol went off in Mussayab, 60 km (40 miles) south of Baghdad, an Interior Ministry source said. #1: Two civilians were wounded on Wednesday by a double explosion in central Kirkuk, a police officer said. “Two explosive charges went off on Wednesday evening (March 23) targeting an emergency police vehicle patrol on the Baghdad road near al-Hajja Sabriya mosque, central Kirkuk, injuring two passing civilians,” Colonel Ghazi Ali told Aswat al-Iraq news agency. An improvised explosive device (IED) targeting a police brigadier general wounded two civilians when it went off in central Kirkuk, 250 km (155 miles) north of Baghdad, Kirkuk police operations room said. The operations room said a second IED targeting the same brigadier general wounded five firemen who were at the scene to extinguish a fire caused by the first explosion. #1: Two policemen have been injured in an armed attack by unknown gunmen in western Mosul on Wednesday, a Ninewa security source said. “Two policemen have been injured on Wednesday by gunmen fire close to Al-Sham Gate in western Mosul,” the security source told Aswat al-Iraq news agency. #2: A policeman was killed on Wednesday by gunmen in southwestern Mosul, a security source said. "Unknown gunmen opened fire on a policeman in front of his house in al-Maamoun neighborhood, southwestern Mosul, killing him instantly," the source told Aswat al-Iraq news agency. #3: Federal police killed a civilian on Wednesday by mistake in western Mosul, according to a security source. "The police killed the civilian by mistake near a fuel station in al-Shefaa neighborhood, western Mosul," the source told Aswat al-Iraq news agency. "The forces opened fire on the victim while attempting to enter the fuel station in the wrong way," he explained. #4: One civilian was wounded on Wednesday in a bomb explosion in central Mosul, according to a security source. “An improvised explosive device went off on Wednesday afternoon (March 24) targeting a police vehicle patrol in al-Farouq street, central Baghdad, injuring a passing civilian,” the source told Aswat al-Iraq news agency. “The explosion left no casualties among policemen,” he added. #1: Two policemen were wounded when a roadside bomb targeting a police patrol went off in central Ramadi, 100 km (60 miles) west of Baghdad, police said. #1: Police in northwestern Pakistan say a suicide bomber has struck outside a police station, killing at least five people and wounding 25 others. Authorities said the blast Thursday killed one police officer and four civilians in Pakistan's Hangu district, near the Afghan border. The explosion destroyed part of the police station and damaged several surrounding houses. #2: Authorities said three rockets hit different parts of Quetta, the capital of southwestern Baluchistan province, killing four people and wounding at least 15 others. A police officer was among the dead. #3: In northwestern Khyber Pakhtunkhwa province, officials say two roadside bombs killed a man near the provincial capital, Peshawar, while the second bomb targeted a police patrol, wounding at least six police officers. #4: Hours earlier, in Bolan district east of Quetta, gunmen on motorcycles attacked three NATO oil tankers carrying fuel for troops in neighboring Afghanistan and set them ablaze before fleeing the scene. There are no reports of casualties. #5: A NATO helicopter gunship inadvertently killed two civilians while attacking suspected insurgents in the northern province of Khost, NATO announced Thursday. The attack targeted a Haqqani network leader in Tere Zayi district on Wednesday, according to NATO. The DoD is reporting a new death unreported by the military. Master Sgt. Jamal H. Bowers died from a non-combat related incident at Camp Lemonier, Djibouti on Friday, March 18th. he was supporting OEF. #1: “A police major was killed today by gunmen, who used guns with silencers, near al-Douri restaurant in Palestine street, eastern Baghdad,” the source told Aswat al-Iraq news agency. #3: “Two persons were wounded when gunmen opened fire on their car in al-Hussieniya region, northeastern Baghdad,” he noted. #4: An Iraqi civilian has been killed in a blast of an improvised explosive device (IED), that was planted in his car in Baghdad on Wednesday, a Baghdad security source said. “An IED, planted in a car of a civilian in west Baghdad’s Amiriya district, blew off on Wednesday, instantly killing him,” the security source told Aswat al-Iraq news agency. #1: An armed man had been killed due to serious burns he sustained when he tried to fire a Katusha rocket on a military airport on southern Iraq’s Amara city on Tuesday, a security source said. “The General al-Sadr Hospital had received an armed man, suffering from serious burns when he tried to launch a Katusha rocket on al-Buteira Military Airport, 10 kms to the north of Amara on Tuesday,” the source told Aswat al-Iraq news agency. #1: An Iraqi army soldier was wounded on Tuesday by a hand grenade explosion in western Mosul, a security source said. "The grenade was thrown on an army vehicle patrol in al-Islah al-Zeraai neighborhood, western Mosul," the source told Aswat al-Iraq news agency, noting that the attacker escaped to an unknown place, while the wounded was carried to a nearby hospital for treatment. #2: Two policemen were wounded on Tuesday as two mortar shells hit a police station in western Mosul, according to a security source. "Two mortar shells hit a police station in al-Najar neighborhood, injuring two policemen," the source told Aswat al-Iraq news agency. #3: One civilian was wounded on Tuesday in a bomb explosion in east of Mosul, according to a security source. “The bomb exploded in Baasheqa district, east of Mosul, injuring a civilian, who was carried to a nearby hospital for treatment,” the source told Aswat al-Iraq news agency, noting that he is in a stable condition. #4: A child was wounded on Tuesday in a bomb explosion in west of Mosul, a security source said. “The child was wounded in an explosion in al-Mahlabiya district, west of Mosul,” the source told Aswat al-Iraq news agency, pointing out that the child was playing near his house when the explosion occurred. #5: Gunmen wounded two off-duty policemen inside their vehicle in western Mosul, 390 km (240 miles) north of Baghdad, police said. #6: Gunmen in a car killed an off-duty policeman near his house in southwestern Mosul late on Tuesday, police said. #1: A man riding his donkey cart was killed and two passers-by were wounded in a roadside bomb blast in the northwestern city of Peshawar, police said. NATO is reporting the deaths of two ISAF soldiers from an insurgent attack in an undisclosed location in eastern Afghanistan on Tuesday, March 22. #1: A senior army officer and a policeman were killed and nine people injured by a series of attacks in Baghdad Tuesday, according to a source within Iraq's interior ministry. Lieutenant-Colonel Yussef Mohammad, based in the defence ministry, was killed while driving on an expressway in the east of the capital by a magnetic bomb that had been placed under his car. #2: In central Baghdad's Karada district a policeman was killed and three others injured when their patrol was targeted by a bomb. 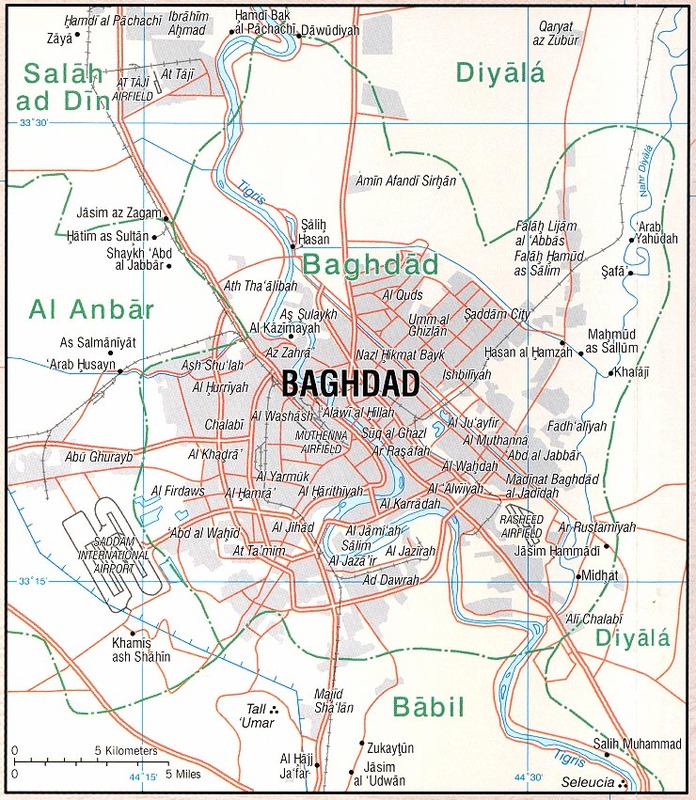 #3: In Zafraniya, a southern district of Baghdad, three people, including two soldiers, were injured by a bomb placed at the side of a main road. #4: Elsewhere, in the eastern district of Sheikh Omar, three passers-by were injured by a device that exploded on the passing of a convoy carrying the finance ministry's administration director. #5: A woman has been killed and her son was seriously injured, in an armed attack by unknown gunmen, targeted against her husband in central Baghdad, a security source said on Monday. “An unknown armed group opened fire on a government vehicle of an Oil Ministry employee in eastern Baghdad’s Palestine Street on Monday, killing his wife and seriously wounding his son, who was driven to a nearby hospital,” the security source told Aswat al-Iraq news agency. #6: "A roadside bomb exploded in Oqba bin Nafiaa intersection near the National Theatre targeting alcoholic beverages store, injuring two civilians and damaging the store," he said. #7: "Two bombs exploded consecutively in al-Zaafaraniya region, southeastern Baghdad, near al-Ali al-Azeem mosque, near a police patrol, without causing casualties." #1: A Sahwa officer was killed on Monday by unknown gunmen in southwest of Kirkuk, according to local police chief. “Unknown armed men opened their fire Monday evening (March 21) on Lieutenant Ibrahim Matar in Riyadh district, southwest of Kirkuk, killing him on the spot,” Brigadier Sarhad Qader told Aswat al-Iraq news agency. #1: Two civilians were wounded on Monday by a bomb blast in eastern Mosul, according to a security source. “Two civilians were wounded on Monday (March 21) by a roadside bomb explosion in Dourat Hamam region, eastern Mosul,” the source told Aswat al-Iraq news agency. #1: Bulgarian soldiers at the Isaf/Nato air base in Kandahar, Afghanistan, have been attacked with missiles, the Bulgarian Defence Ministry said on March 21 2011. The airport is a frequent site of attacks by Taliban insurgents. The latest incident occurred over the weekend at 8.03pm Afghan time. There are about 300 Bulgarian soldiers in the base, as well as troops from a number of other countries. According to the Defence Ministry, there were no casualties. #2: A suicide bombing rocked Afghan town in southern Uruzgan province on Tuesday, an official said. "A suicide bomber riding a motorbike blew himself up next to headquarters of Deh Rawad district at 11:00 a.m. local time today, killing himself," spokesman for provincial administration Ahmad Milad Madasir told Xinhua. There were no casualties except the bomber in the suicide attack as the bomber due to fear of identifying by police detonated his explosive device 100 meters away from the district headquarters, the official further said. The Washington Post is reporting the death of an American soldier from an IED blast in an unreported location in southern Iraq presumably on Monday, March 21st. NATO is reporting the death of an ISAF soldier from an IED attack in an undisclosed location in southern Afghanistan on Sunday, March 20th. #1: A high-ranking oil official has been shot dead in an attack in Baghdad, Iraqi media reported on Monday. Hussein Jamal Abdullah, Director-General of Iraq's State Oil Marketing Organisation (SOMO), was killed by an unknown group of gunmen near the Baghdad People's Stadium on Sunday, Aswat al-Iraq news agency reported. #2: A colonel in the Interior Ministry was also killed in a separate attack near the Moussa al-Kadhim Mosque in northern Baghdad. The colonel's name was not reported. Gunmen in a speeding car on Sunday killed an Interior Ministry colonel, Ali Jabar, when they fired on his car in eastern Baghdad, police said. #3: A roadside bomb placed at the gate of a night club at Abu Nowas Street, in Karrada, caused massive damages to the club on Monday morning. No casualties were reported. #4: Gunmen in a speeding car on Sunday wounded an Interior Ministry colonel, Emad Chyad, when they shot at his car in eastern Baghdad, an Interior Ministry source said. #5: Gunmen in a speeding car wounded a police lieutenant, Ali Ramiz, when they shot at his car in the Talbiya area of eastern Baghdad, an Interior Ministry source said. #6: A bomb attach to a vehicle on Sunday killed one civilian and wounded three in the Baghdad&apos;s southwestern district of Bayaa, an Interior Ministry source said. #1: A bomb attached to an Iraqi military vehicle killed one soldier and wounded two in the Karma area, near Falluja, 50 km (32 miles) west of Baghdad, police said. #1: Militants killed four men for allegedly providing the United States with information used in a recent drone attack that Pakistan claims killed many innocent civilians, Pakistani intelligence officials said Monday. Authorities found the bullet-riddled bodies of three Pakistanis and one Afghan in the North Waziristan tribal area with notes outlining their alleged role in the March 17 drone strike, said the officials, speaking on condition of anonymity because they were not authorized to talk to the media. #2: Two suspected suicide bombers riding on a motor bike were killed near the northwestern town of Dera Ismail Khan when the suicide vest of one of them exploded accidentally, police said. DoD: Cpl. Donald R. Mickler Jr. Roadside bomb kills 1 civilian, injures 7 people, including 3 police, in central Baghdad. A few minutes later, a second bomb injures 6 people, including 3 police. 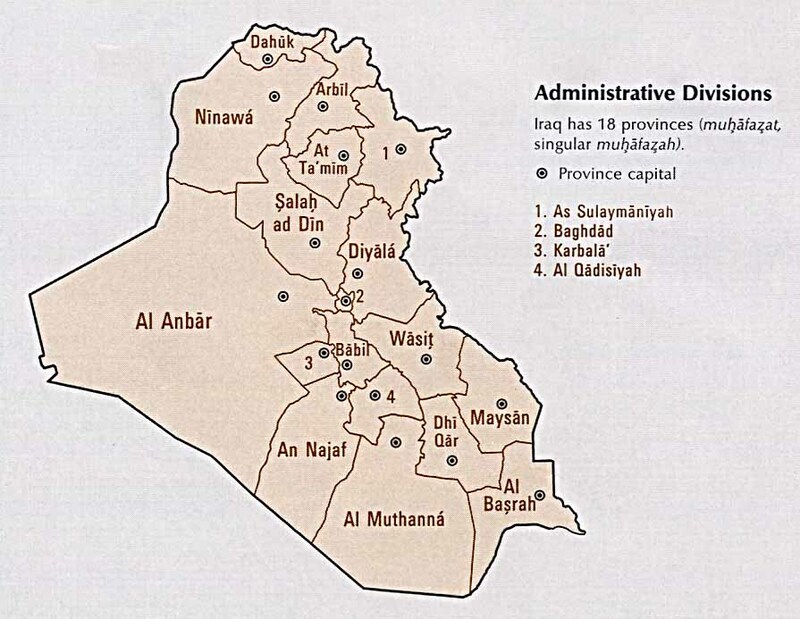 Aswat al-Iraq gives different casualty totals -- see next link. Mortar attack on security headquarters in Baladiyat district, no word on casualties. VoI describes 4 separate explosions late Saturday and (apparently) early Sunday, killing 3 and injuring 22. Attack on an army patrol in Aadhamiya kills 2 soldiers and one civilian, injures 6 soldiers an 1 civilian. Explosion in a road tunnel in Aadhamiya also injures 4 persons. Attack on an army patrol in al-Shaab injures 5 soldiers, and an explosion in Karrada injures 4 civilians. Hey kids! 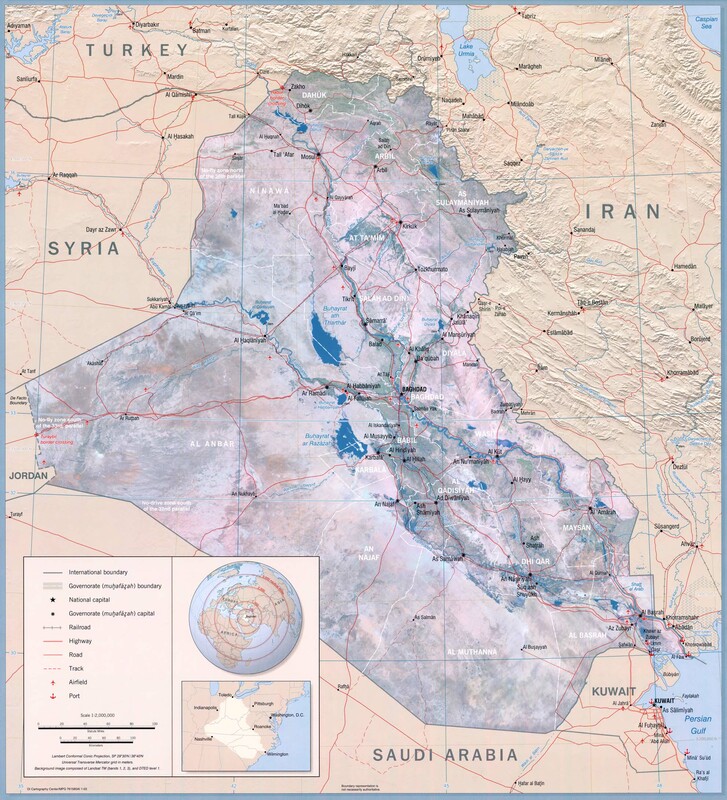 Did you know that Operation Iraqi Freedom began on March 20, 2003? Yes, today is the eighth anniversary of the day of Shock and Awe. It seems a few hundred people in California noticed, but hardly anybody else did. Down the memory hole . . .
District governor of Burka, Baghlan province says NATO forces have killed 7 Taliban. A Taliban spokesman confirms the death but says NATO also suffered casualties. British MoD announces the death of Private Daniel Steven Prior on Saturday. Prior was injured by a bomb in Helmand on Thursday. Trainers from the U.S. Army Reserve's 98th Division will soon be deployed to Afghanistan. What is interesting in this Tolo News dispatch is the observation that "Officers in the unit find it more challenging as they think Afghan soldiers are not used to being under a unified command." Joe Biden chats on the phone with Hamid Karzai. This Kuna dispatch also mentions in passing that a U.S. drone strike killed 1 civilian and injured 4 in Nangarhar. Hardly worth mentioning. Two NATO soldiers of unidentified nationality are killed on Saturday, apparently by an Afghan security guard. No details are available as of now. When Israel bombed Gaza at the end of 2008 in a brutal action which killed 1,300 people and destroyed 20,000 buildings, there was no question of the US allowing the UN to impose a no-fly zone over Gaza to protect its people, 50% of which are children. The MoD is reporting the death of a British ISAF soldier from an IED attack in the Nahr-e Saraj district, Helmand province, Afghanistan on Friday, March 18th. NATO is reporting the deaths of two ISAF soldiers from a shooting incident from an Afghani security guard in an undisclosed location in southern Afghanistan presumably on Saturday, March 19th. NATO is reporting the death of an ISAF soldier from an IED attack in an undisclosed location in eastern Afghanistan on Saturday, March 19th. #1: Gunmen stormed a house on Friday and killed two brothers belonging to the government-backed Sunni Sahwa militia in Jurf al-Sakhar in western Mussayab, about 60 km (40 miles) south of Baghdad, police said. #1: A roadside bomb killed three shepherds in Baiji, 180 km (112 miles) north of Baghdad on Friday, police said. #1: An Iraqi lawyer has been killed by unknown gunmen in northern Iraq's oil rich city of Kirkuk on Friday, a Kirkuk Police director said on Saturday. "A group of unknown gunmen opened fire on a lawyer, called Mohammed Khalaf al-Azzawi, in front of his house south of Kirkuk, killing him on the spot, Brigadier Sarhad Qader told Aswat al-Iraq news agency. #1: Eight Taliban insurgents were killed Friday night in Afghanistan's Badghis province, some 555 km northwest of capital city Kabul as NATO-led troops and Afghan forces pounded militants' hideouts, an official said Saturday. "Based on intelligence reports, a unit of Afghan and international forces raided militants hideout in Bala Murghab district late Friday night as a result eight insurgents were killed," spokesman for provincial administration, Sharafdin Majidi told Xinhua. According to the official, no casualties on combined forces and civilians were reported during the raid. The DoD is reporting a new death unreported by the military. Senior Airmen Michael J. Hinkle II died from a non-combat related incident somewhere in southwest Asia on Wednesday, March 16th. He was supporting the Iraq war. Pakistani leaders condemn suspected U.S. drone strike - The drone strike killed many civilians, Chief of Army Staff, Gen. Ashfaq Parvez Kayani, said in a statement. "It is highly regrettable that a jirga of peaceful citizens including elders of the area was carelessly and callously targeted with complete disregard to human life," the statement said. "Such aggression against people of Pakistan is unjustified and intolerable under any circumstances." #1: A roadside bomb wounded three people in Baghdad's central Karrada district, an Interior Ministry source said. #2: A bomb killed one person and wounded three others in Baghdad's western Iskan district, an Interior Ministry source said. #3: A roadside bomb went the northeastern Ur district of the capital targeted a police patrol, wounding two policemen and one civilian, according to a source in the Interior Ministry. #4: Two traffic policemen and one civilian were wounded in Baghdad&apos;s northern Shaab district when a roadside bomb went off, according to an Interior Ministry source. #1: Policemen seized on Thursday a car bomb at the northern inlet Kut, a police source said. "Police forces found on Thursday morning (March 17) a car bomb in Umm Heliel region in northern Kut," the source told Aswat al-Iraq news agency. "The driver escaped as the police arrived," he added, noting that the car contains a camera and explosive materials. #1: Two Katyusha rockets landed on a U.S. base in Diwaniya, with no reports on damage, an army force said on Friday. “Two Katyusha rockets hit the U.S. Echo base in west of Diwaniya, with no word on casualties,” the source, who asked for anonymity, told Aswat al-Iraq news agency, noting that the two rockets were launched from al-Fawar region, southeast of Diwaniya. #1: Two children were killed and a third one was wounded in a bomb blast in south of Kirkuk, a security source said on Friday. “A bomb, from the remains of the former army, exploded in Qader Karam region, al-Touz district, south of Kirkuk, killing two children and injuring a third one,” the source told Aswat al-Iraq news agency. #1: Two shepherds were killed and another wounded by a bomblet of an old cluster bomb in an area north of Slahudin's capital city of Tikrit, some 170 km north of Baghdad, a provincial police source told Xinhua on condition of anonymity. #1: A team of three Pakistanis and three Afghans who were working on a road building project in northern Afghanistan have been kidnapped, a local official said Friday. The five construction engineers and their Afghan driver were abducted as they travelled by convoy in the relatively peaceful north of the country late Thursday, the local director of public works told AFP. "Six people have been kidnapped, three Pakistani engineers, two Afghan engineers and also their driver", he said "They were kidnapped as they were travelling from Jawzjan to Sari Pul province to start their work." #1: An explosive charge blew off against a U.S. Army patrol north of Kut city, the center of southern Iraq’s Wassit Province on Wednesday, a police source said. “An explosive charge blew off on Wednesday afternoon against a U.S. Army patrol in al-Numaniya township, 40 kms to the north of Kut, but losses were not known,” the source told Aswat al-Iraq news agency. He said the U.S. forces opened random fire and imposed a security cordon on the area of the attack, shortly after the incident. #1: Eight civilians were wounded by a bike bomb explosion in central Mosul on Thursday, a security source said. "A bicycle bomb went off this morning at the center of a market in al-Dawasa street, central Mosul," the source told Aswat al-Iraq news agency. "The blast wounded eight civilians, most of them suffered minor injuries," he added. #1: The international coalition said on Thursday that more than 30 insurgents were killed during an ongoing operation in southwestern Helmand province. The operation in the still restive province started two days ago targeting narcotics and weapons trafficking. Opium poppies in Helmand are a main cash crop the Taliban use to fuel their insurgency. #2: The coalition says that in a separate incident more than 10 insurgents were killed Wednesday near a coalition base in eastern Kunar province. #3: Four US missiles ploughed into a militant training compound in Pakistan's Taliban and Al Qaeda-hit northwest on Thursday, killing 24 and wounding several others, security officials said. A security official in Peshawar said the missiles struck a militant training centre in Datta Khel town, 40 kilometres (25 miles) west of Miranshah, the main town in North Waziristan tribal area, which borders Afghanistan. "Militants were using this house as a training centre and used to meet here. They have recovered 24 dead bodies from the debris. We think the death toll may rise," said the official, raising an earlier toll of 12 dead. He said 10 other militants were critically injured and said those killed were believed to be members of the Pakistani Taliban. #3: Two people were killed on Wednesday when a bomb exploded outside a Nato base in southern Afghanistan, setting fire to more than a dozen fuel trucks, police and officials said. Another six people were injured in the blast and a huge blaze is still burning outside the base, a spokesman for the governor of the southern province of Uruzgan said, adding that all the victims were Afghan civilians. Two people were killed and six wounded, said the spokesman, Melad Mudesar. Twelve trucks are completely burned, and the fire is still going. Mudesar said the explosives were concealed on a motorbike parked near the base, although other sources indicated they were hidden in one of the fuel trucks. There was no immediate claim of responsibility for the incident. #4-5: Two separate bomb attacks on paramilitary convoys in Pakistan’s southwestern Balochistan province on Thursday killed four people including three soldiers, officials said. #4: The separatist Baloch Republican Army claimed responsibility for the first attack, in which a remotely-detonated roadside bomb hit a convoy in Naseerabad district, 430 kilometres southeast of Quetta. “Two soldiers and a passer-by were killed and seven others were wounded. One vehicle was also badly damaged,” Abdul Jabbar Jatoi, a senior administrative official told AFP. #5: A second bomb, planted in a car and also detonated remotely, went off later in the outskirts of Quetta, killing another soldier and wounding three others, police said. “One soldier died in hospital, three others are under medical treatment,” Hasan Buzdar, a police official in Quetta told AFP. NATO is reporting the death of an ISAF soldier from an insurgent attack in an undisclosed location in eastern Afghanistan on Tuesday, March 15th. #1: At least 3 civilians and 4 policemen have been injured in two improvised explosive device (IED) blasts close to southwestern Baghdad’s al-Rashid markets on Tuesday, a security source said. “Two IEDs blew up close to al-Rashid markets in southwestern Baghdad’s Daura district, wounding 3 civilians and 4 policemen,” the source told Aswat al-Iraq news agency, adding that the IEDs were targeted against a police patrol in the area. In a separate incident, a policeman and a civilian were wounded when a roadside bomb exploded near a police patrol on a highway that passes through New Baghdad district in southeastern the capital, the source said. #2: Policemen defused seven bombs in separate areas in Baghdad in the past 24 hours, the Baghdad Operations Command said on Tuesday. "Policemen defused six explosive charges and a sticky bomb, in addition to seizing a big depot in the past 24 hours," the BOC said in a statement on its website. #3: “An IED blew off in central Baghdad’s Karrada district on Wednesday, wounding 6 civilians, who were driven to hospitals,” the security source told Aswat al-Iraq news agency. #4: He said that another IED blew off in east Baghdad’s Zayouna district, wounding 2 civilians who were taken to a hospital, also causing damage to several shops close to the venue of the blast. #1: A police officer had been killed and his wife was seriously injured in an explosive charge blast in his car in northeast Iraq’s Diala Province on Tuesday night, a Diala Police source said. “A police officer, working with the Explosives Unit of Diala Police, was killed and his wife was injured, in an explosive charge blast on his car in new Baaquba district in Diala Province on Tuesday night,” the police source told Aswat al-Iraq news agency. #2: In Diyala, unidentified gunmen stormed the house of an anti- Qaida paramilitary group member, known as Awakening Council group, in a village near the town of Buhruz, south of the provincial capital city of Baquba, some 65 km northeast of Baghdad, a provincial police source told Xinhua on condition of anonymity. The gunmen shot dead the group member and wounded his wife, the source said. Iraqi security forces in the area chased the fleeing attackers and traded fire with them, killing one while the others escaped in the surrounding orchards, the source added. #1: A U.S. Army patrol had been attacked by an improvised explosive device (IED) in southern Iraq’s city of Basra, causing no human or material losses, a Basra security source said on Tuesday. “An IED blew up against a U.S. Army patrol on the Hamdan Road, 10 kms south of Basra on Tuesday, but caused no human or material damage,” the security source told Aswat al-Iraq news agency. #1: Five Yazidis were kidnapped on Tuesday by gunmen in military uniform in west of Mosul, according to a security source. "Gunmen in military uniforms kidnapped five Yazidis near a village in al-Baaj district, west of Mosul," the source told Aswat al-Iraq news agency, noting that the gunmen attacked three cars, kidnapping the men and left women. #1: A police spokesman says a car bombing in a northern Iraqi city rife with ethnic tensions has killed three people and wounded 18. Kirkuk city police spokesman Brig. Gen. Sarhat Qadir says the car was parked near a hospital and government office when it exploded around 9 a.m. on Wednesday. He says the attack appeared aimed at the city’s Kurdish director of water and sewage. #1: An American missile attack Wednesday killed five people in a northwestern region of Pakistan that is under effective Islamist militant control, Pakistani intelligence officials said. The missile destroyed a house in the North Waziristan region close to the Afghan border, said the officials, who spoke on condition of anonymity in line with regulations of their agency. The identities of the victims or the details of the strike were not known. #2: One person was killed when unknown gunmen opened fire at Nato tankers in Balochistan province’s Mastung area on Wednesday, DawnNews reported. Four tankers were set ablaze in the attack. #1: One man was wounded in Baghdad&apos;s central Karrada district by a roadside bomb, an Interior Ministry source said. #2: A roadside bomb wounded two people in Baghdad&apos;s southern Doura district, an Interior Ministry source said. #3: A double bombing in southern Baghdad wounded head of Al Saydiya Police Station and three security guards, a police source said. #1: Policemen found this afternoon an unknown bullet-riddled corpse of a man near Bash Blagh village in Qurat Hanjier district, north of Kirkuk,” Colonel Othman Abdullah told Aswat al-Iraq news agency. #1: A policeman was killed on Monday by gunmen in west of Mosul, a security source said. "Unknown gunmen shot and killed a cop using guns with silencers near his house in Talafar, west of Mosul," the source told Aswat al-Iraq news agency. #1: Two civilians were wounded on Monday in two explosions in the city of Falluja, a security source said. “An explosive charge went off near a policeman’s house in al-Joulan region, north of Falluja, injuring two civilians,” the source told Aswat al-Iraq news agency. #2: “Another bomb exploded targeting a police vehicle patrol in central Falluja, without leaving casualties,” the same source said. #3: Three civilians and a policeman were killed on Monday by gunmen in west of Anbar, according to a security source. “Unknown gunmen killed three civilians and a policeman while on hunting trip in the western desert in al-Ratba district, west of Anbar,” the source told Aswat al-Iraq news agency. #1: An Afghan government spokesman says a local provincial council member in the northeast of the country has been killed by a bomb while walking near his home. Spokesman Kochai Nasery says the explosion took place on Tuesday morning in the capital of Laghman province. The remotely detonated bomb killed the local official, Malang Malik, and also wounded a relative of his. #2: In neighboring Nangarhar province, government spokesman Ahmad Zia Abdulzai says a bomb blast inside a school in the Behsud district killed principal Bahram Khail Salehi and wounded another school employee as children were arriving for classes on Tuesday morning. #3: The Finnish Defence Forces said in a statement Tuesday that a Finnish soldier has been wounded by the accidental discharge of an automatic grenade launcher in Mazar-i-Sharif. The soldier was hit by a Finnish grenade early Tuesday morning as the Finnish troops were leaving for a firing exercise. The projectile did not explode. The soldier did not sustain serious injuries but is currently receiving treatment at an on site German field hospital. #4: Unidentified armed men torched two NATO containers carrying military hardware for ISAF and NATO forces stationed in Afghanistan in Surab area of Kalat on Monday. According to levies sources, the containers carrying military hardware for NATO forces stationed in Afghanistan were going to Chaman town from Karachi when some unidentified men opened fire on them. The attackers made the driver and cleaner hostage at gunpoint and set the both the containers on fire and managed to escape from the scene. Levies Forces rushed to the spot after being informed by the local people. “The two containers were completely destroyed and no casualty was reported in the attack,” levies official said. 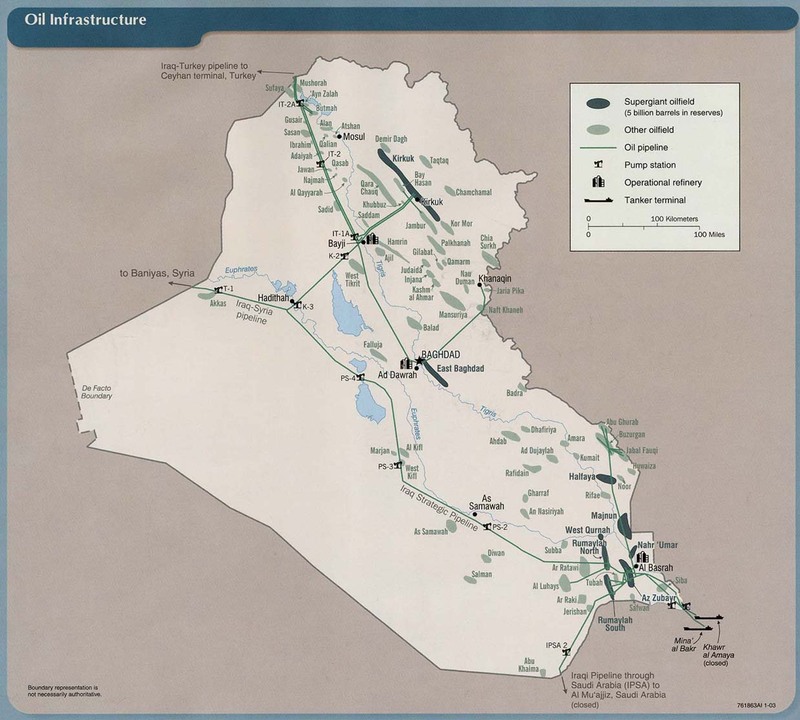 #5: Meanwhile, in separate accidents, two NATO oil tankers were overturned near Chaman and Kuchlak. The incidents took place due to over-speeding and reckless driving, due to which hundreds litres of oil spilled over on the road. #6: Pakistani Taliban killed three pro-government volunteers in a tribal region near the Afghan border, officials said Tuesday. The bullet-ridden bodies of the volunteers, who were kidnapped last week after attack on their checkpoint, were found in Mohmand tribal agency on Tuesday. Bodies of the slain men were found near a canal at Gadakhel area, 40 kilometers from Ghalanai, center of Mohmand agency. #7: At least six militants were killed and many others injured on Tuesday morning in a shootout between militants and security forces in northwestern region of Pakistan, said security sources. According to security officials, some unknown number of militants attacked a security check post with automatic guns and hand grenades in Hangu district and injured some local policemen. Security personnel at nearby check posts responded with fire and killed six militants and injured many others. #8: While in another incident, some gunmen opened fire at a police mobile and killed two policemen and injured another in Mardan city in Pakistan's northwestern province Khyber Pakhtunkhwa. NATO is reporting the death of an ISAF soldier from an insurgent attack in an undisclosed location in eastern Afghanistan on Saturday, March 12th. NATO is reporting the death of an ISAF soldier from an IED attack in an undisclosed location in southern Afghanistan on Saturday, March 12th. #1: One civilian was killed and two others were wounded in western Baghdad's al-Amriya neighborhood after a roadside bomb blast, police said. #2-4: Eight other people were wounded earlier Monday when three roadside bombs exploded in Baghdad neighborhoods, the interior ministry said. #2: Five persons, including 3 policemen, have been injured in an explosion in east Baghdad early on Monday, a security source said. "An improvised explosive device (IED) blew up against a police patrol in east Baghdad's Canal Street, wounding 3 policemen and 2 civilians, who were driven to hospital for treatment, the security source told Aswat al-Iraq news agency, giving no further details. #1: A suicide bombing at an Iraqi military base north of Baghdad killed at least 10 people and wounded 25 others Monday, police said. Most of the dead and wounded were Iraqi soldiers, according to Baquba police, who said the truck bomber ran into a barracks. Police combed through the rubble of the building looking for victims. The attack took place in the town of Kanan about 10 kilometers (6 miles) south of Baquba in Diyala province, which is ethnically mixed. #1: Clashes in a prison, central Tikrit, in Salahuddin province wounded 15 people including a senior officer. Two prisoners were killed and 14 others were wounded due to riots that erupted on Sunday in the prison, media reported. After negotiating with prisoners, they were transported to the prison of former President Saddam Hussein’s castle since the building they were occupying is no longer fit for use, a police source told Alsumaria News. #1: Afghan officials say a suicide bomber has killed more than 33 people at an Afghan army recruiting centre in the northern province of Kunduz. Kunduz Deputy Governor Hamdullah Danishi says the attacker approached on foot and detonated a bomb on Monday afternoon as recruits lined up outside the centre. He says at least 42 people were also wounded in the blast. #2: An American missile killed two Arab militants and two local fighters as they traveled in a vehicle close to the Afghan border on Monday, the fourth such attack in the space of 24 hours in the region, Pakistani intelligence officials said. The vehicle was laden with explosives when it was struck in the village of Malik Jashdar in North Waziristan, said the officials. #3: Five civilians were killed by a bomb in Sharshark village in the southern province of Helmand on Sunday evening, the Government Media and Information Centre said in a statement. The civilians were returning from a poppy eradication campaign when the vehicle they were travelling was hit in Marjah district in the volatile province, killing all five in the vehicle, the statement said. #4: In a separate attack, one civilian was killed and three others were wounded early Monday by a roadside bomb in the Siah Sang area of the eastern province of Nangarhar, a statement from the Interior Ministry said. #5: In another incident, in south-eastern Afghanistan, a rocket was fired by the 'enemies of peace and stability' in Koch-e-Baba Tahir area in Ghazni province, the statement said. No casualties were recorded but the police launched an investigation into the case, it said. #6: NATO air raids against militants left five insurgents dead in Afghanistan's Kunar province, some 185 km east of capital city of Kabul, a press release issued by NATO-led International Security Assistance Force (ISAF) said on Monday. "Coalition forces killed five insurgents after they observed an imminent threat from armed individuals at a historic insurgent fighting position in Ghazi Abad district, Kunar province." the press release said. Without giving the exact time for the attack, the press release added that coalition forces on the ground monitored the five insurgents for several hours to ensure positive identification and intent of the individuals prior to requesting the close air support to engage. "The insurgents killed were in possession of automatic weapons and were digging to emplace a mortar tube,"